Emerging Voices is a literary fellowship program that aims to provide new writers, who lack access, with the tools they will need to launch a professional writing career. 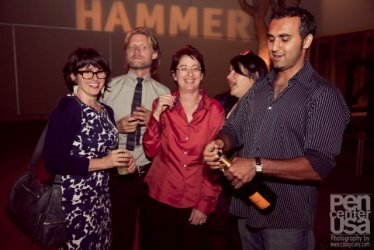 The recipients of the 2011 Emerging Voices fellowships are Hafeez Lakhani, Eric Layer, Lauren Marks, Azarin Sadegh, and Jamie Schaffner. Join us for the final reading and celebrate the completion of their program. For more information, please visit www.penusa.org.